We offer a complete selection of individual and corporate tax services for native and international clients. Given our reputation and experience with protecting our client’s bottom line, you can always be confident of advantageous compliance and maximized tax savings with our expert assistance. We can assist you or your company with the filing of the appropriate tax declaration forms, which may include: corporate tax, income tax, consumption tax, local tax, and other applicable tax categories. Our team of tax professionals can also provide tax planning, tax risk reduction, enterprise value maximization, and more to help minimize tax payments and liabilities, while ensuring maximum savings and credits. In Japan, both income and inhabitant taxes are withheld in advance, so the company settles these payments with the tax bureau. For your convenience, Shiodome Partners Group also provides support services for your tax calculation and withholding income tax payments. 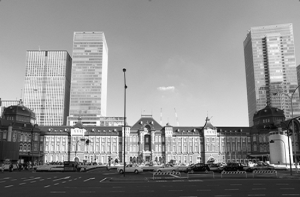 In Japan, tax investigations are usually conducted by the tax bureau during every 3 to 5 year fiscal period. To safeguard your interests during the tax investigation, our tax specialists will handle the preparation and investigation process, and correspond, discuss, and negotiate with the tax authorities on your behalf. For convenience and peace of mind we offer tax agent/monitoring services for Japanese employees working in overseas subsidiaries, and for international employees working and residing in Japan. Transfer pricing taxation can be a perplexing issue for both the company and employee. Given the opportunities for confusion and error, corporate and individual clients want the assurance of accuracy and compliance. 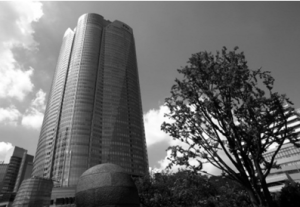 Shiodome Partners Group has the experience, as well as an excellent understanding of the intricacies of transfer pricing, to ensure the protection of your best interests. With the advent of globalization, the number of companies conducting business overseas has rapidly multiplied. This can complicate matters with tax compliance and liabilities, especially when transfer pricing is implemented due to fluctuating foreign exchange rates. When done without a proper awareness of the impact on tax liabilities and penalties, the resulting error can be quite costly to both the company and employee. (2) What is Transfer Pricing? The basic concept of “transfer pricing” is based on whether the appropriate price was applied in transactions with foreign entities. When the transfer rate is improperly set, resulting in a recorded “loss” for the Japanese entity, additional tax penalties may be levied. In order to avoid the risk of additional taxes due to “transfer pricing” taxation, it is extremely important to ensure the accuracy and objectivity of the exchange rate in use. To better respond to the “transfer pricing” taxation needs of our clients, we are collaborating with GMT Transfer Pricing Tax Accounting Office to support and assist you with every aspect of the transfer pricing issue. (1) How is Income Tax reported and paid? National Income tax or “shotokuzei” ( 所得税) is imposed on yearly income from January 1st to December 31. There are two ways to pay this tax: a) The statement of earnings system where the tax is withheld from the employee’s salary based on the calculation of annual income, to be adjusted later, or b) the self – reporting system for business owners/proprietors, who must calculate and pay their taxes themselves. (2) How are these taxes calculated and adjusted? If you receive a salary from your employer every month, then the taxes will be withheld from your salary every month and paid by your employer on your behalf. The withheld taxes are then applied at the year-end tax adjustment called “nenmatsu-chousei” (年末調整）or the final tax return called “kakutei-shinkoku”(確定申告). If you would like to know more about our accounting and tax services, you can also visit our section on Articles – Accounting & Tax. 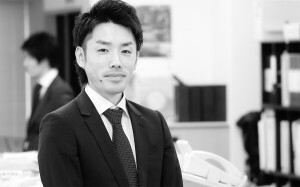 If you are seeking expert tax service that’s both dependable and affordable, Shiodome Partners Group can help. To request a consultation, please contact us at inquiry@shiodome.co.jp or call our Tokyo corporate office at 81-3-6228-5505 during regular business hours. If you prefer, you can also submit a Contact Request Form at your convenience.